Standard Mode - for simple IV fluid delivery with piggyback capability. Dose Mode - used for administration of medication where concentrations. and doses are critical. The pump will automatically calculate either the dose or rate. 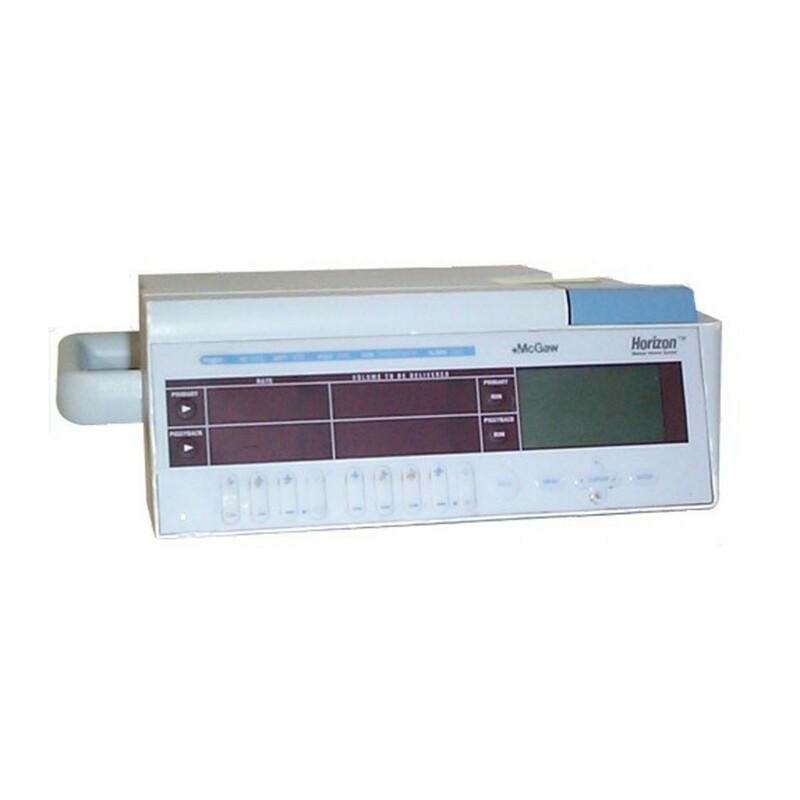 Profile Mode - offers a tapered delivery mode for infusing TPN or other fluids requiring ramp up and ramp down time. Program Mode - offers maximum flexibility in customizing IV fluid administration. Up to 9 separate periods of fluid volume can be infused sequentially. q(x)° Mode - can be used for the periodic infusion of antibiotics, chemotherapy or other IV infusions according to a schedule set by the user. Assure that there is a maintenance IV infusing in the intervals between pump infusions. The pump is equipped with distinct audible and visual alarm signals to indicate KVO, low battery, and actual alarm conditions.